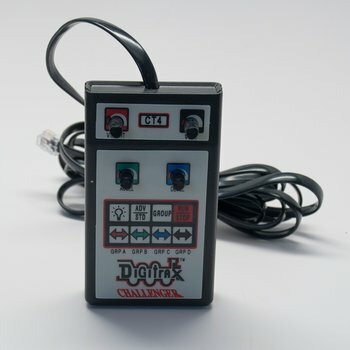 Digitrax first throttle as part of the Challenger Set. Discontinued in 1998 this product is no longer able to be repaired. CT4 throttles can ONLY be used with a Challenger Set. They were not replaced with another similar product when they were discontinued.